Rachel and Shawn were married at the historic General Warren Inne in Malvern, PA. They opted for a first look before their ceremony, and it was such a sweet moment! After their first look, we wandered around the pretty grounds of the inn for their wedding portraits. 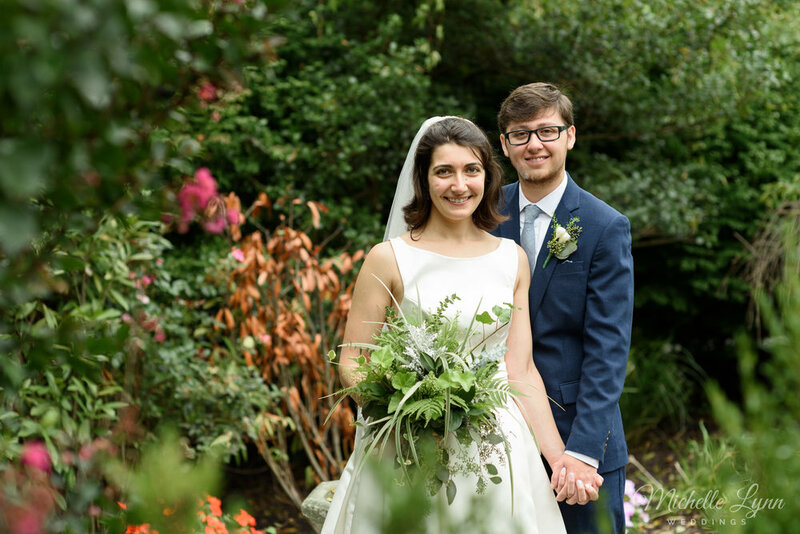 Surrounded by their closest family members, Rachel and Shawn were wed in a short and sweet intimate ceremony on the inn’s Spring House Terrace. Congratulations, and best wishes for a lifetime of love and happiness to Rachel and Shawn! 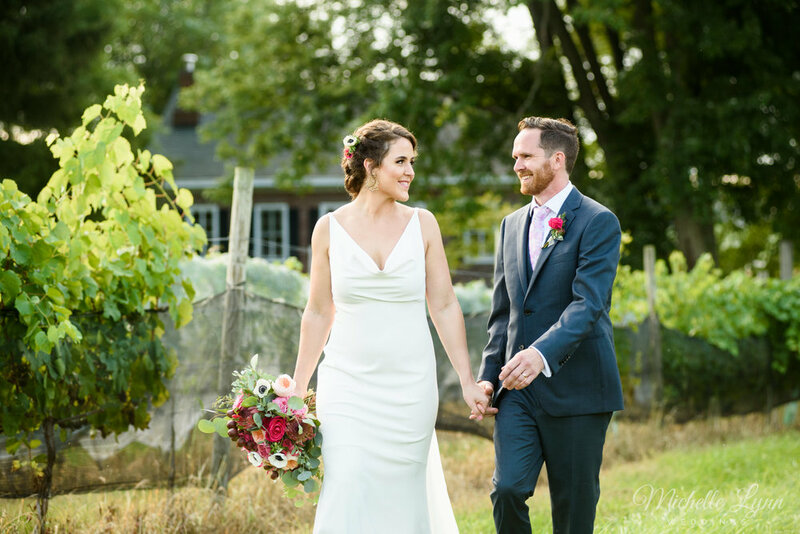 Katherine and Benjamin had an amazing wedding at Unionville Vineyards in Ringoes, New Jersey. The ladies started the day off getting their hair and makeup done at Casa Aziz Salon in Princeton, NJ. We then headed over to Unionville Vineyards where everyone finished getting ready. Katherine wore a stunning minimalist BHLDN gown, accented by heirloom jewelry, cheetah print sandals, and an incredible protea bouquet designed by Petunia Bergamot.